”the ability to re-roof our buildings without a complete tear-off of the old roof (along with all of the disruption to activities), is a significant benefit. The institution is now 107 years old however several of the original buildings date back to the civil war. Built in 1859, and were first constructed as a military facility. Of these buildings, some with flat roofs were the most troublesome to the school regarding roof leaks. During the long Michigan winters, snow would accumulate on the roofs, then melt around the seams and holes, from the heat leaving through the roof. Water would run to the drains or gutters and freeze overnight forming “Ice Dams” which in-turn block the flow of additional meltwater, compounding matters. 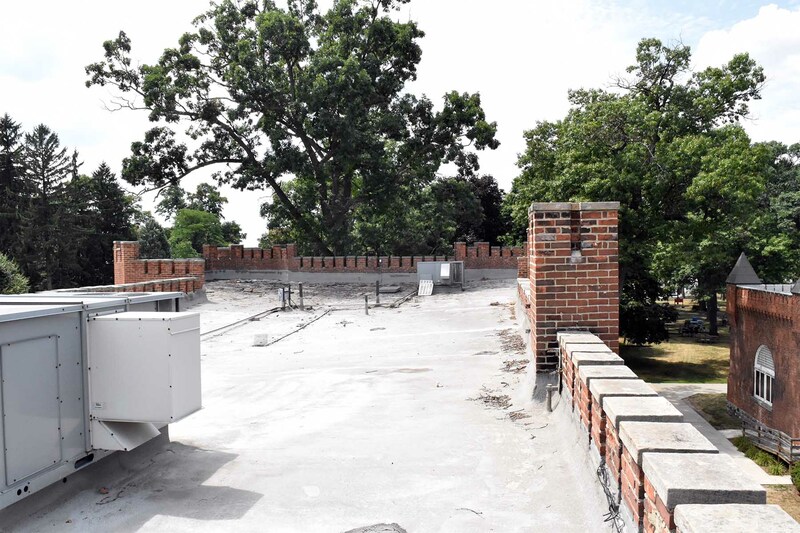 When the water backed-up onto the parapet walls or around vent stacks, more leaks occurred. Additionally, the hot-tar roofs would become brittle after a few seasons then shrink and crack due to Thermal Shock during the freeze-thaw cycles of late winter/early sprint. Leaks were a way of life with these roofs. This is the Administration building, it’s been over 25 years since the last application of Spray Foam, to date, it is still providing a leak-free environment for the building. This spray foam has been on this roof since 1993, that’s 25 years. Since most of the buildings on the campus have undergone a roof restoration with spray foam, there has been no leaks in those buildings. 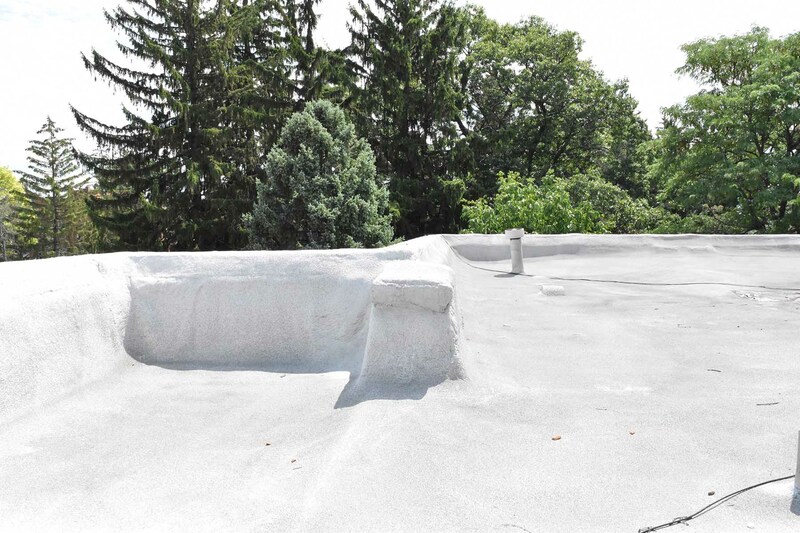 Snowmelt is a terrible enemy to roofs, especially in Michigan. Since the application of spray foam, snowmelt issues, and ice-dam build-up has been eliminated. Meaning the gutters backing up is a problem no more. Spray foam has an incredible life, even if you don’t take care of your roof. In 25 years there has not been a crack in any of the spray foam applied. It’s continuing to hold up to provide ultimate protection. Roughly $130,000 was saved in 1978 on roof tear offs. Since then they’ve saved nearly $2.2 million in energy cost savings over 40 years. That’s an ROI of 1,348%. Interested in the same? Get a quote.